We went to the Rivery for disc golf today. While I was out practicing, I noticed a broken bird house sitting next to a path. 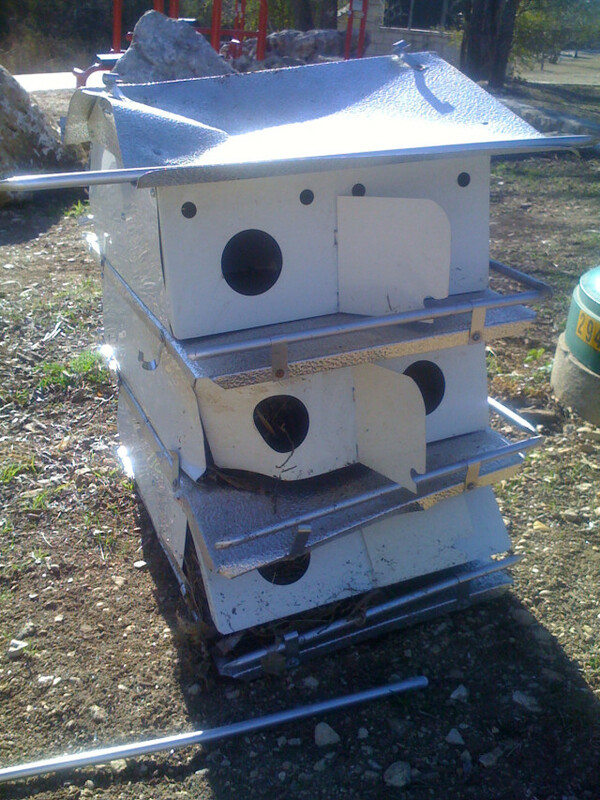 I hope that they replace it so that the cute little birdies have someplace to live this spring! Man, hole 3 is getting harder to throw over the trees! I wish those things would stop growing! 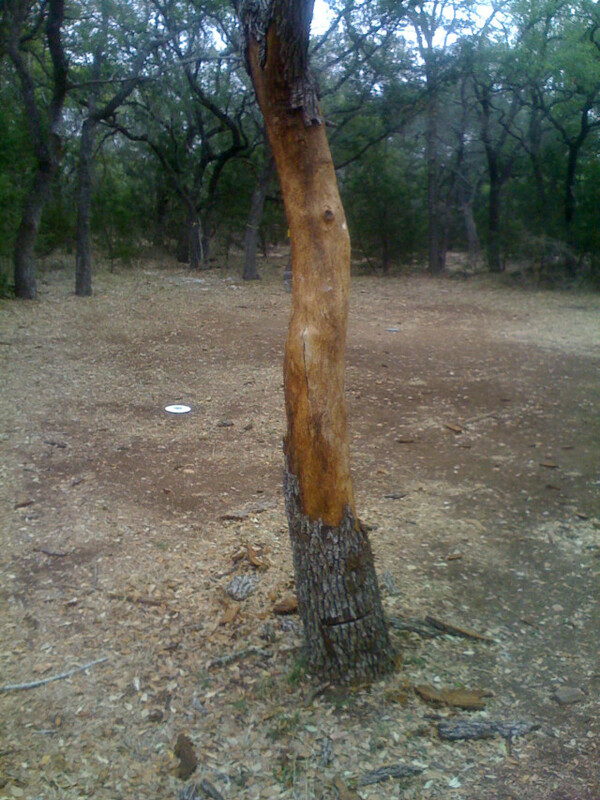 This entry was posted in Disc Golf on January 31, 2009 by Mark. I was messing around with images displayed while looking through lenses and came up with this one showing my security badge. It turned out to be Interesting enough to make for a new user icon on the geek. This entry was posted in Interesting on January 30, 2009 by Mark. First up was an interesting dice game based on one of my favorite games, Through The Ages. This is a heavy game. The dice are wooden. There are four wooden peg boards. And there is a rather thick score pad. I like the game! It has the feel of a lightweight version of TtA and the feel of a push your luck dice game. Next up was an older game. Sadly, it seems that I only play this game once every year or so. Too many games and not enough game days. I did quite well in the game. And ended up in first place. This entry was posted in Gaming on January 29, 2009 by Mark. The weather forecast was scary. There was a chance of ice/sleet. And it is never a good thing to be out on the roads when there is ice out there. These people cannot cope with the altered driving conditions. But, as usual here, it turned into a non-event. Almost no accumulation to speak of. This entry was posted in Interesting on January 28, 2009 by Mark. 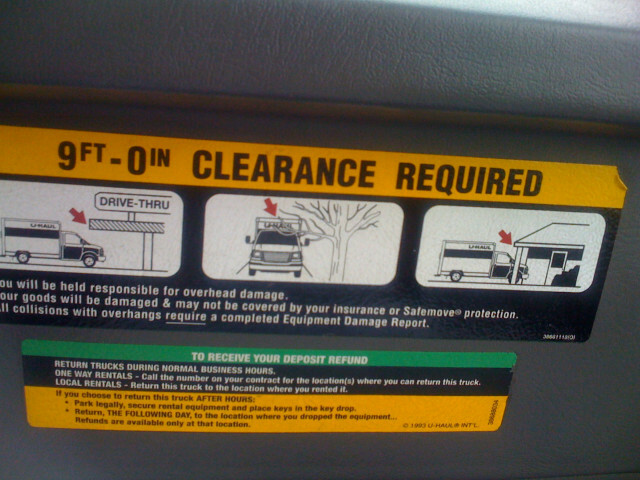 I was helping a friend move when I noticed these warning signs inside of the moving vehicle. One was on the rear-view mirror. Which was unexpected. 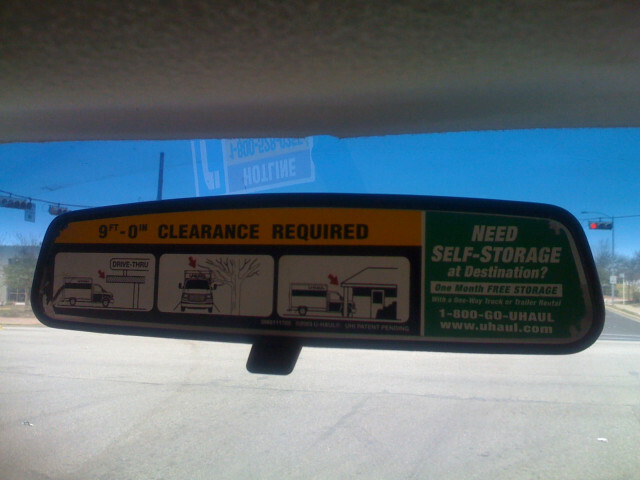 But I guess that the rear view mirror was unnecessary since behind the cab was the storage area. This entry was posted in Interesting on January 25, 2009 by Mark. 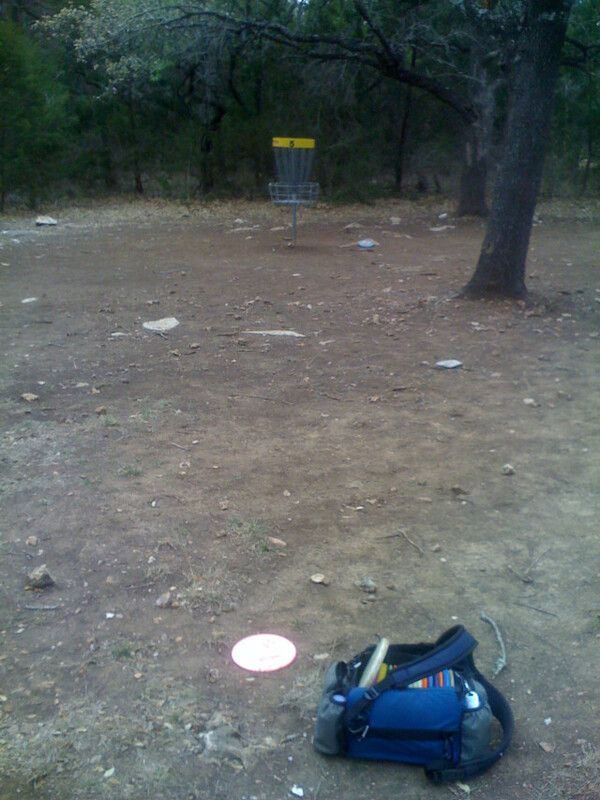 We went to Wilco to play disc golf this morning. And boy, was it cold and windy out there. We were hoping that the somewhat sheltered area would help somewhat. But when Jon states: “My tears are frozen,” it is not looking good. So we played quickly. I had a good first throw on the tough hole five. 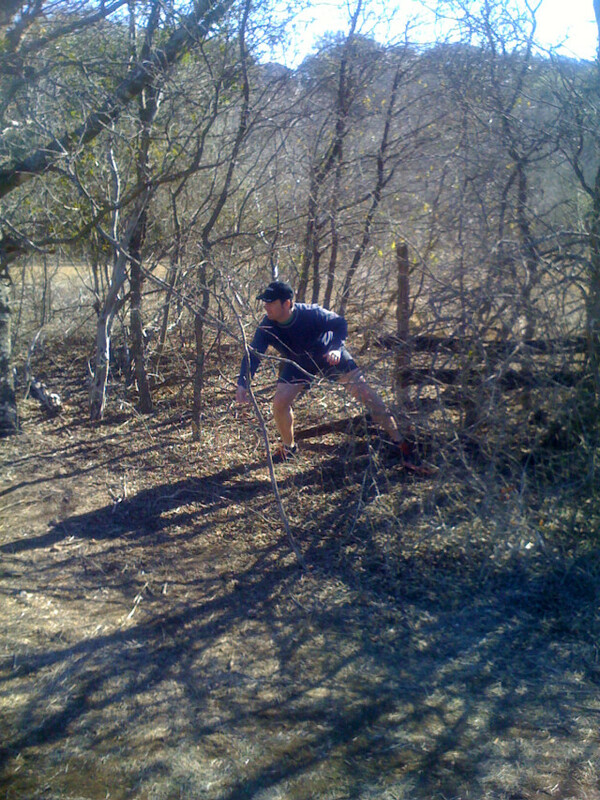 This entry was posted in Disc Golf on January 24, 2009 by Mark. As the sun was setting, I noticed this play of reflections on the kitchen counter top. My rear door has not been cleaned in a while and that was reflecting off of the water stained stainless steel bowl onto the formica counter top. This entry was posted in Interesting on January 23, 2009 by Mark. We played Race For The Galaxy with the expansion pack. 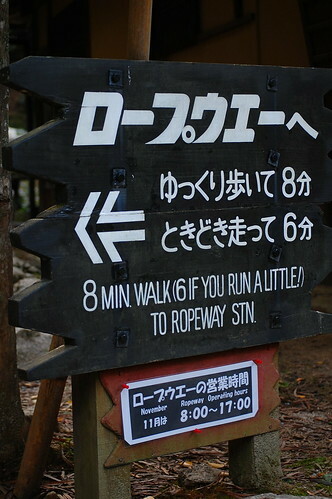 It comes with a number of modules. One module is more cards to add (to allow another player to play). Another module is bonus points to compete for (like first with a 6 development, or first with powers for all phases, or most developments, or most producing planets, etc). We played with these two parts. I like the fact that this game also comes with blank cards where you can define your own powers. And some other time I will have to try the solo game (at least once). Next up was the latest Friedemann Friese game. A four F title. This is a lighter game about trying to get your pieces from one end of the board to the other. Some parts of the board have current on them which automatically moves the pieces. Some areas have logs floating on them which you have to push past. But you can only push up to two things in front of yourself. So, ideally, you want to have your three pieces in a row and have the third piece do the moving/pushing. This entry was posted in Gaming on January 22, 2009 by Mark. So I am watching Lost. And it is getting towards the end of the show. All of a sudden, the screen turns bright yellow. And shortly after that, I get this dialog box. WTF?! Man I really hate big corporations sometimes. Their anti-theft/anti-piracy tactics get in the way of paying customers. 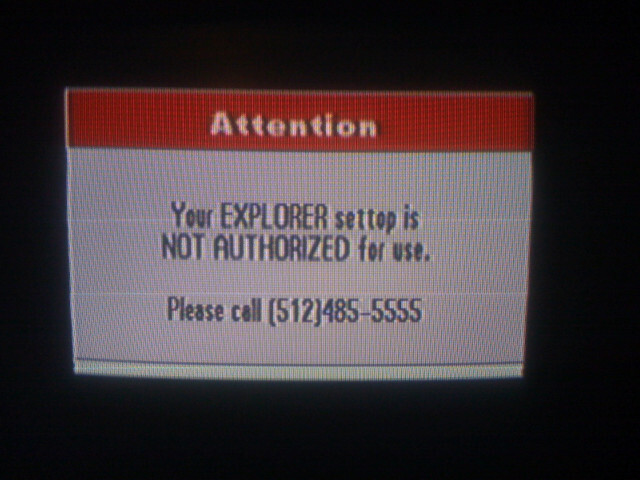 Another thing that I hate about this DVR box is that it is unusable if the cable goes out. It doesn’t matter if I have recorded shows on them. The box won’t work if it can’t get an authorization signal. This entry was posted in Interesting on January 21, 2009 by Mark. This entry was posted in Web links on January 18, 2009 by Links.